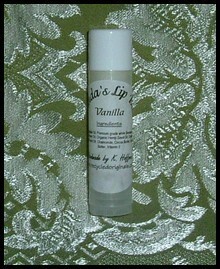 Please contact me at 419-343-2667 or k.hoffmanoriginals@yahoo.com for all lotion and lip balm orders. This body lotion is more like a cream. It's very thick and rich and leaves skin feeling soft and silky without feeling greasy. High in protein, triglycerides, vitamin A, B6, B12 & E, which makes it an excellent natural moisturizer that helps to hydrate & nourish skin. A natural anti oxidant and anti-inflammatory. It's high in vitamin C and promotes collagen formation in the skin. Helps moisturize while providing a silky protective barrier to all skin types. 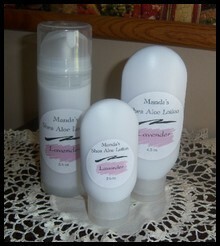 Our lotions do not contain mineral oil. The shea butter and honey allow the moisture to penetrate deeper into the skin, leaving skin softer longer.This lotion has been very popular with our customers. They can't get enough!! We make our lotions fresh. They haven't been sitting around in a warehouse or on a store self for months at a time. 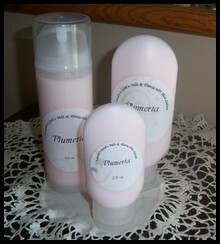 Our lotions currently available in 2.5oz., 4.5oz. and 5.5oz. sizes. We have had to cut back on the scent inventory for our Lotions. If you don't see the scent you are looking for you can call or email us for current availability. It varies according to demand. This is our NEWEST lotion. I made some last summer for my daughter's wedding shower favors and have received many reorders. I have decided to add it to my permanent line. Aloe has long been considered to be a premier product for moisturizing and healing the skin while Shea Butter is known for aiding dry skin. This body lotion is a little lighter than our Goat's Milk Lotion, but still leaves skin feeling soft and silky without feeling greasy. Helps moisturize and provide healing to the skin. Does not contain mineral oil, parabens or phthalates. These lip balms are wonderful!!! They leave your lips with long lasting moisture.